It’s in the comments the real blog interaction takes place. All bloggers know that I think. 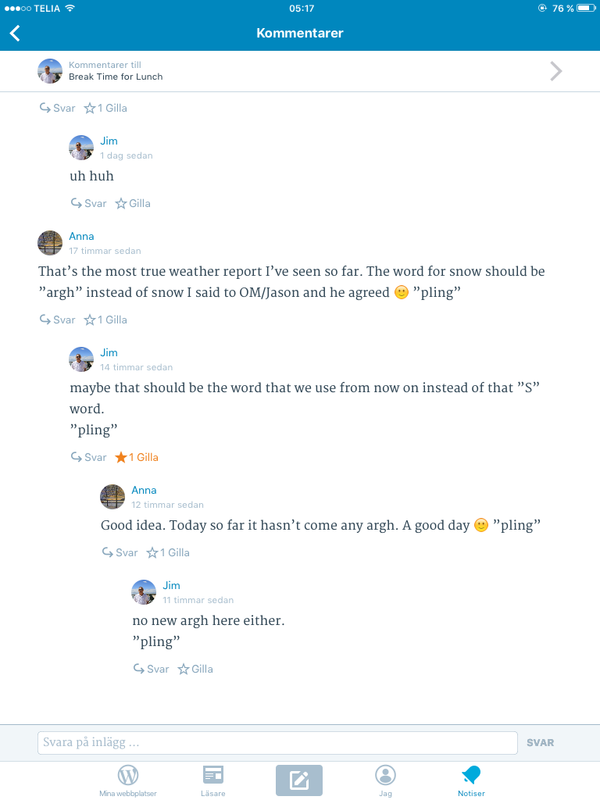 In a conversation over snow with Jason and Jim a new word for snow has come up. ARGH! 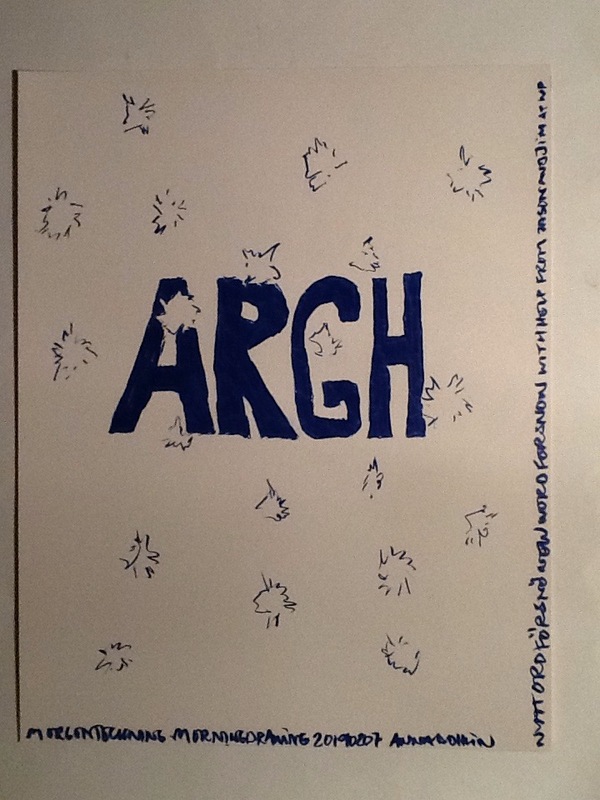 So would you say we’ve had too much “Argh”? Yes and no. Yes because I’m tired of argh shoveling and no because it’s good for ground water supply. True there are some side benefits to argh….